Family Owned and Operated Since 1978 – Serving Irvine, Tustin, California – and the greater Orange County, Riverside and Los Angeles areas. Ray of Ray’s Roofing is a no non-sense type of guy who stands by his word, ensures the quality of work and doesn’t pull off a project until the job is complete. 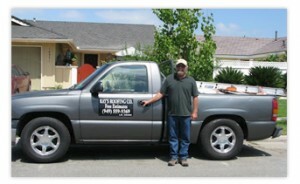 Ray’s Roofing uses quality, cost effective supplies in roof construction. So, customers don’t over pay and their roof system’s deliver long lasting energy efficient protection. A.L.L. Roofing Supply: Allied Building Products Corp.
Materials: GAF- Certainteed- Owens Coming-actually all products listed on the A.L.L Roofing supply site.